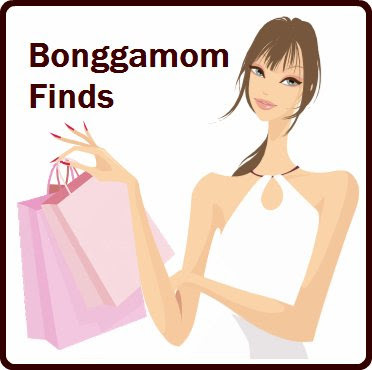 Finding BonggaMom: What do you get your child's teacher for Christmas? What do you get your child's teacher for Christmas? Each year since kindergarten, The Pea has declared her current teacher to be "The Best Teacher Ever", and I must admit I've adored all her teachers so far. The fact that they are full of praise for The Pea and her talents probably has a lot to do with it, but they've also been open about areas where she can improve and how we can help her progress at home. I credit her teachers for making classroom learning fun and exciting, and for challenging The Pea to be the best Pea she can possibly be. 3Po and Jammy are having similar experiences with their own teachers and at this point I can safely say our school is blessed to have great teachers, and my kids will have great learning experiences no matter which classroom they end up in. 1) Contribute a small amount of cash along with other parents in the class and get a gift card to Starbucks, Target, a spa or some other . As a room parent I have never advocated specifying a set amount of money since I know different parents can afford different amounts; I think any amount you can give, be it $5 or $25, will be appreciated. 2) My friend and fellow Office Max blog panelist Heather (the Tween Teacher), wised me up about giving school supplies to teachers. I had no idea that so many teachers had to pony up their own cash to buy school supplies for their kids! So ask your teacher if she needs anything for her class -- be it a ream of paper, a couple of ink cartridges or a box of file folders -- and get it for her. Or get a gift card to an office supply store. 3) Who doesn't like flowers? Flowers always make me feel special, and a vase of flowers on the dining room table always makes me feel a wee bit closer to Martha Stewart -- and I can't think that any teacher, male or female, would feel any different. 4) What are we giving teachers this year? Nothing. To be more precise, I'm planning to buy something from Manila and give it to my kids' teachers when we come back in January. I'm sure I can find some native pendants or scarves that won't cost a lot of money but are unique and meaningful because they come from a country that The Pea has ties to. If anyone has other good teacher gift ideas, I'd love to hear them! Let's work together to make sure no teacher gets a ceramic apple paperweight this holiday season! This post was inspired by teacher/author Phil Done's experience of receiving a present shaped like a box of candy, freezing it and taking out months later, only to find out that it was actually a tie. 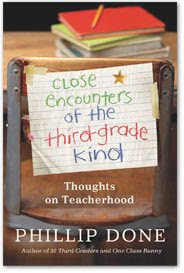 It's all chronicled, along with other hilarious and touching stories, in his latest book, Close Encounters of the Third-Grade Kind. Read my review of this book on Bonggamom Finds, and head on over to the Silicon Valley Moms Blog to read how this book inspired other moms. Disclosure: I received a review copy of this book from Phil Done last summer; the views and opinions expressed in my review are my own. I love your ideas especially the thought of getting gifts for your The Pea's teacher while you are in Manila! That makes them extra special! I found a great jewelry artisan- Lori Magno- and purchased all of our teacher gifts from her. I felt good about helping her with her business, about buying handmade, and letting the kids pick out affordable jewelry for their teachers. Hi. Phil Done here, author of Close Encounters of the Third-Grade Kind. One thing that teachers LOVE getting (and it doesn't cost much) is a card from a parent with a note of appreciation. THESE are the things we save! And WAY better than a mug :o). Thanks for your post! Something we're trying at our school is colleting money from the parents, then buying the teacher's favorite gift cards through the school, so the school gets a percentage. I am not too great at collecting $, though, and got a cute little tin to collect it, so perhaps I'll just give her the cash :) Last year everyone got a piggy bank to collect and then gave those to the teachers. Oh, and a card for sure...great idea from Phil. We had the kids decorate frames once and put a photo of the teacher and kid. I've brought lattes in, although they are often cold by the time the teacher has time to drink them. Hi, Bonggamom! I like the new look of the blog. :) This is a great topic, and I thought that I'd say that I usually give my children's teachers a small sampler of chocolate and a gift card to Target (because then they can use it on suppplies or themselves or whatever) BUT I've been eyeing a personalized teacher's bag in the Current catalog that would go with my son's kindergarten teacher's coat and I LOVE the idea of sending her flowers. I just may go that route. Mugs, mugs and more mugs! "To Mug Week!" Heh! I usually give gift cards from Lakeshore and a heartfelt handwritten thank you note from me. Get ready for 12 days of giveaways! Would you tweet about a family tragedy?